Dr Erna Rijnierse is a Médecins Sans Frontières doctor onboard the search and rescue vessel the MV Aquarius. 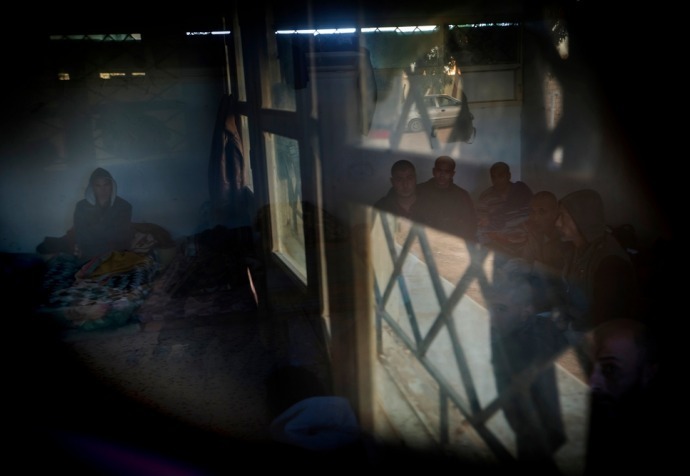 She gave the following account of a rescue operation in the central Mediterranean on 20 July, in which 209 people were rescued from two small boats in distress, and 22 people (21 women and one man) were found dead. “On Wednesday, we got a call from Italy’s Maritime Rescue Coordination Centre and were told that there was a helicopter doing a medical evacuation and we were needed to assist in a rescue. At that point we didn’t know that a navy vessel had disembarked about 48 people from a rubber boat. So a lot of things we only found out a bit later. Another team member and I had a bad feeling and it turned out that we were right. When we approached, the first thing we noticed was the silence. Normally, when you approach a boat the people wave and let you know that they are there, but this time, they were awfully silent. The other thing we noticed almost immediately was the very strong smell of fuel. "Normally, when you approach a boat the people wave and let you know that they are there, but this time, they were awfully silent." When we approached the boat, they told us there were dead bodies inside the boat. They didn’t tell us how many. I asked permission to get onto the boat. The water was up to my calves. The smell of fuel was incredible and there were strong smells of urine and the like. It was very hard not to step on a human body, but I wanted to make absolutely sure that the women – it was clear to me at that point that most of them were women – were really beyond the point of resuscitation. Some of them were already stiff, so rigor mortis had set in. It was clear that they didn’t die in the last few minutes and you could see in their eyes that the way they died, they were struggling. 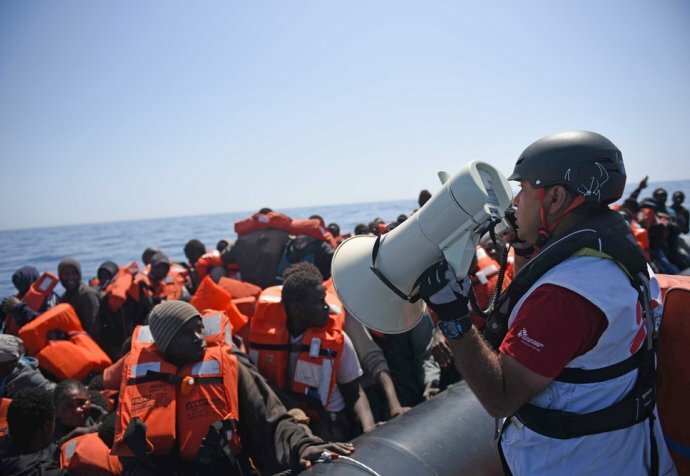 From a medical point of view, it was clear that there was nothing we could do so I went back onboard our rescue boat to focus on those who did survive this ordeal. There were a lot of people onboard the boat suffering from stinging eyes, which was probably due to the gas or fuel. It became apparent that there had been a struggle on the boat. You could tell from the scratches on people's arms and legs, but also 10 people presented with human bite marks on arms, backs and ankles. This told me that people had lain down flat on the floor and had been stacked upon, trapped underfoot. It’s horrific to imagine that scenario. It must have been chaotic. People were just staring with empty eyes into nothingness. People onboard are severely traumatised by events, but it’s not only their journeys in the Sahara or their horrific stay in Libya. What they’ve encountered here has been beyond most people’s imagination. Later on, we recovered the bodies, which was not easy. What we do is take pictures of each and every individual. We give their estimated age and other details, to be handed over to the Italian authorities, but what’s really sad is that there’s only one person who has been positively identified. "It’s horrific to imagine that scenario. It must have been chaotic. People were just staring with empty eyes into nothingness." They died an agonising death. You can see it in their faces. Some of them have protruding tonsils because of the suffocation process. It’s also difficult for people to recognise their loved ones when they are in that state. So we have only one positive identification of a man who lost his wife in the incident. There is also a person who travelled with one of his relatives, but because of the state of the faces, he couldn’t even identify his family member. We are also hearing stories of girls being at the bottom of the boat between the wooden floor and rubber bottom, gagging on swallowed dirty fuel and water. Many of the girls were coming after having spent some time in detention, so were very weak to begin with. They didn’t eat or drink properly. How can you physically fight if you are weak?